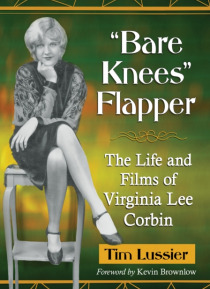 i One of the most popular Hollywood child stars of the late 1910s, Virginia Lee Corbin was well known to fans worldwide. With her mother as her manager, Corbin retained her popularity as she grew older. She performed in vaudeville for a couple of years before continuing her film career. Corbin fit well into the flapper mold of the Jazz Age and appeared in many films throughout the 1920s. As sh… e matured, her mother found it ever more difficult to control her. Corbin led a difficult life. After her mother's suicide attempt, she found that all the money she had earned was gone. Her marriage (at age 18) failed and she was eventually separated from her children. The flapper struggled to remain relevant in the sound era and was trying to make a comeback when she died at 31 in 1942.